Joyoland has always been Nihon Falcom's go-to when it comes to porting their titles to other platforms over in Asia. Well, it looks like they have another job for them. 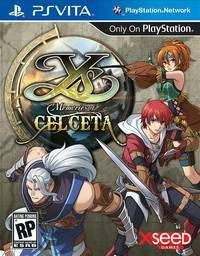 After recently releasing Ys: Memories of Celceta to critical acclaim in Japan back in 2012, they have once again asked Joyoland to bring their title to the PC in China. You can read the original announcement on Joyoland's website (in Chinese). Thank you to Endless History for the report.